Adrian provides counsel for private sector clients on issues including equal employment opportunity litigation, wage-hour problems, employment of the disabled, federal housing and other labor matters. 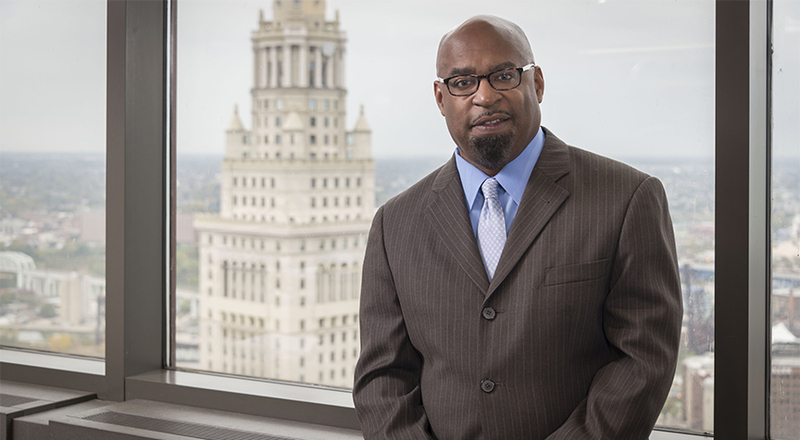 Co-partner-in-charge of the Cleveland office, Adrian is also a member of the firm's executive committee and serves as Taft’s chief diversity officer. He helps to drive the firm’s commitment and strategy regarding diversity and inclusion across our offices and in the communities that we serve. Adrian represents school districts in contract negotiations, grievance arbitration, litigation, education of the disabled and employment discrimination matters. He served as chief legal counsel for the Cleveland Metropolitan School District for eight years. Adrian is president emeritus of the board of directors of the Legal Aid Society of Cleveland. He helped to oversee the activities of Legal Aid’s 55 staff attorneys, 90 staff members and 1,400 volunteer lawyers across four offices that serve low income clients in Ashtabula, Cuyahoga, Geauga, Lake and Lorain counties. Adrian is also the co-chair of the Cleveland Metropolitan Bar Association Diversity & Inclusion Strategies Committee. Adrian formerly served on the Commission on the Rules of Superintendence for Ohio Courts, having been appointed by the Supreme Court of Ohio. In this role, he was one of 19 members who represented various judges, associations, attorneys, magistrates, clerks of court and court administrators. Adrian is also a member of the Supreme Court of Ohio's Task Force on Commercial Dockets. Adrian is an active member of the firm's Diversity & Inclusion Committee. He is an active member of the Norman Minor Bar Association and the Cleveland Metropolitan Bar Association, where he serves on the Thought Leadership, Diversity & Inclusion, and Community Trust Committees, as well as being one of nine Professionalism Conciliation panel members. He has been honored as a Leading Lawyer and is listed in The Best Lawyers in America for Education Law as well as for Labor Law in Ohio Super Lawyers.